As my subconscious told me that the pleasant aroma of cinnamon rolls had turned into an odor a little more pungent, I became aware that Ewan Clayton had been the cause of yet another burned breakfast. Not that I can't afford to forgo a cinnamon roll, but that really isn't the point. 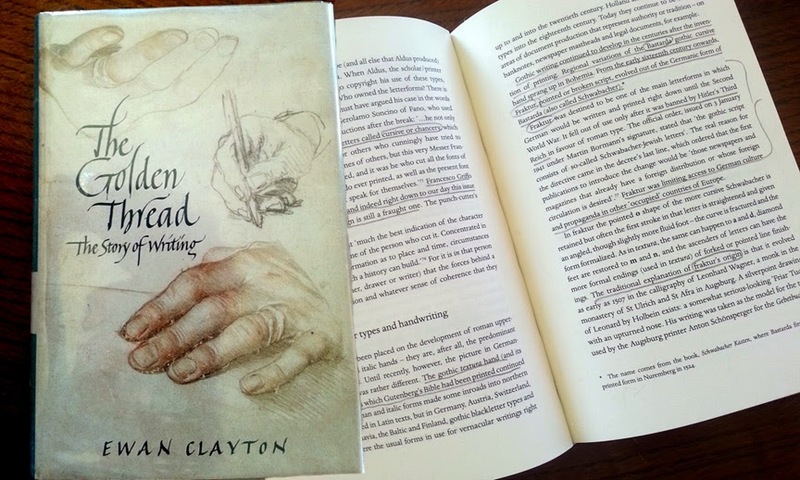 The cause of my distraction is Ewan Clayton's new book, "The Golden Thread" which has taken me on a fantastic journey along the origins, development and adaptation of letterforms in western society. The journey of reading Ewan's work was something I looked forward to each day. I'd find myself getting up just a little earlier each morning to get a few extra quiet moments - and I found I couldn't read without marking up the book for reference later. One of the things I like best about Ewan's style is that he is an enthusiastic yet easygoing, lyrical storyteller. Another is that he is pays particular attention to the etymology of words. This attention to origins provided continual string of 'aha' moments for me as he delved into the historical origins of words like 'codex', phrases like "lend me your voice" and tidbits of fact such as the reasons behind wide margins in manuscripts or some of the differences in reading from the origins of monasticism versus how we read today. Indeed, he poses the compelling (if slightly disturbing) thought that “when holding up an early piece of European paper . . . you are possibly inspecting a piece of recycled medieval underwear”. As a lettering artist, Ewan has a keen insight into the formation and adaptation of letterforms as they progressed throughout history and cultural settings. As an example, he speaks of the evidence that the original Gutenberg press letters were designed in interchangeable parts more in keeping with how a calligrapher would actually write than being simply a fixed press image of a letter. Calligraphers and graphic artists concerned with text will find a wealth of information to connect the dots in their journey of learning about letterform. Equally as important this work holds great interest for the general student of history as well - the correlations of politics, culture and religion as tied in through the medium of the alphabet provides a fresh angle from which to look at traditional learning. 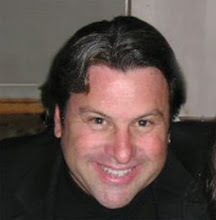 Ewan has the ability to address the computer age from a position of authority; he was a consultant to that early research group PARC. "The Golden Thread" came just at the right time for me. I had been anticipating its arrival for some time and in fact delayed finishing an article I was writing in order to make sure I had a reference to Ewan in my footnotes. I greeted the book with enthusiasm, and am equally eager to make my second, more in-depth journey though Ewan's work again in the near future. Ewan Clayton is Professor in Design at the University of Sunderland and co-director of the International Research Centre for Calligraphy. For a number of years he was a consultant for Xerox PARC (Palo Alto Research Center) where he worked within a research group that focused on documents and contemporary communications. He is an award-winning calligrapher and has exhibited and taught calligraphy in many parts of the world. Visit John Neal Books to get your copy.